You’re the golden boy of the pool, and you need a look that shines as brightly as you do! Meet the Tornado Golden Skies Men’s Jammers. This sky blue look features an explosion of vibrant lights in bright golden shades of sunshine, tangerine, and marigold, alongside flashes of cerulean and indigo. 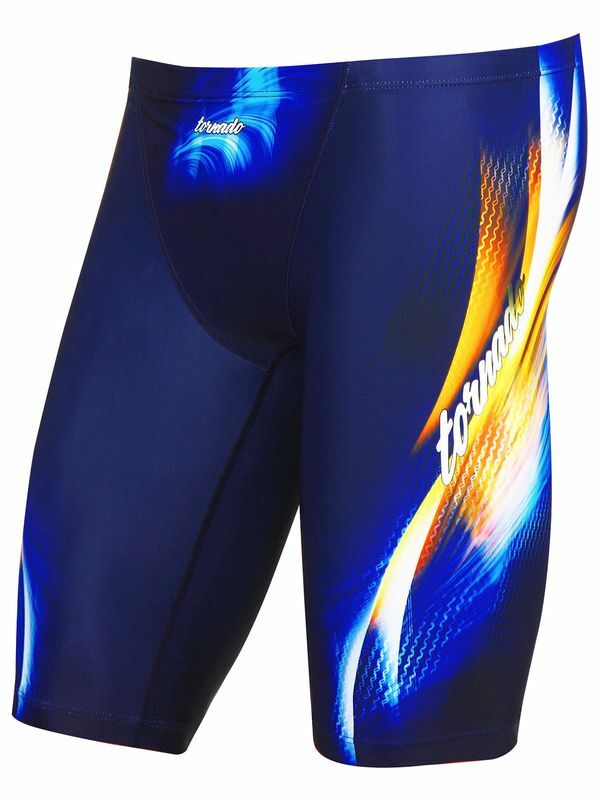 With a sleek Tornado logo down the leg and in the front and centre under the waistband, this is one electrifying look! Made by our favourite up and coming Korean swimwear company, the Tornado Golden Skies Men’s Jammers will stay looking incredible through countless swim sessions in the sun and chlorine.